When you lock your Windows 8.1 computer/tablet, it shows the your default logon screen picture. You can enable photo slide show on your lock screen. To do this, make sure you have some photos or picture readily available on your Pictures folders (or anywhere on the computer hard disk). If you photos are in Pictures folder, you are done. If not, Add folder in the list. Click Back button and close PC Settings (Alt-F4 would be quick way). That’s all. Enjoy your slide show on the lock screen. 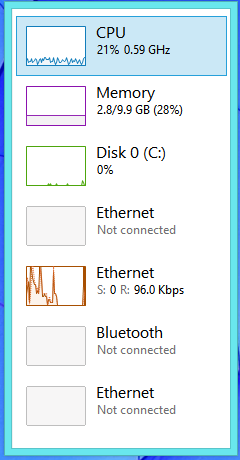 How about to display CPU,Memory, Disk and Network performance details on your desktop without any third-party software? 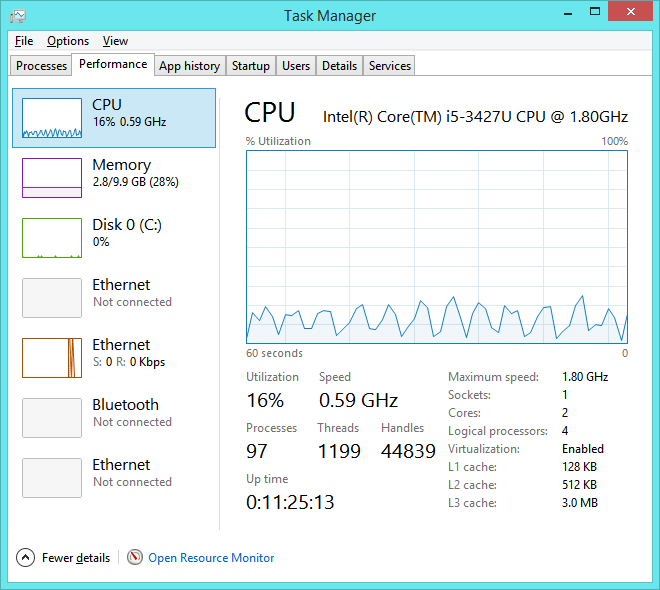 Windows 8.1 has built-in cool display, gadget like, in Task Manager application. Enjoy the tip. Hope you like it.